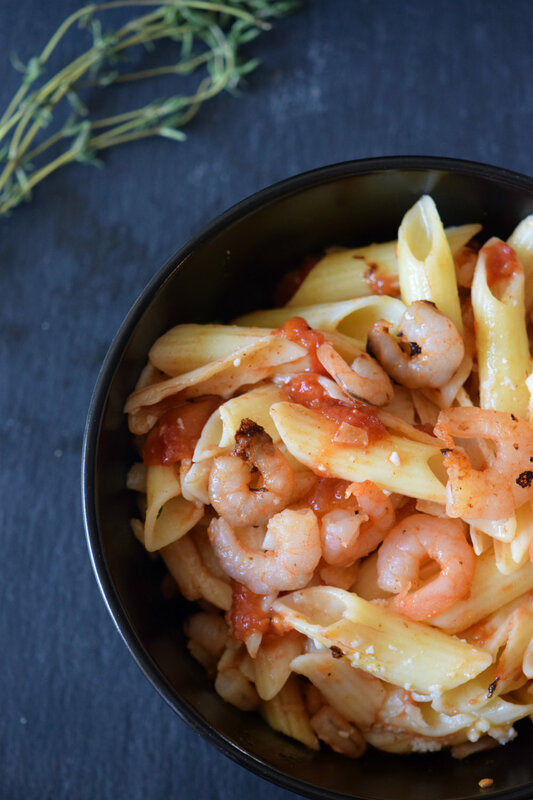 This Garlic Shrimp Tomato Pasta is everything you crave in one dish. 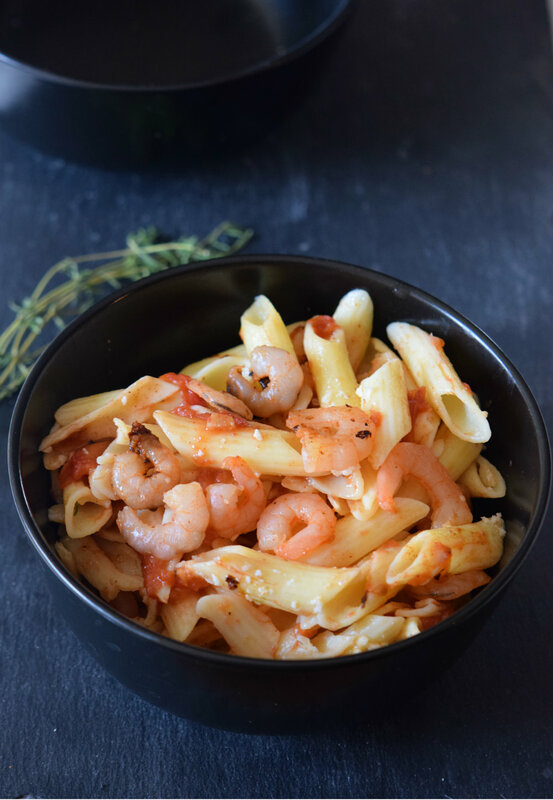 Garlic shrimps, cooked to perfection pasta and the most creamy and delicious tomato sauce you'll ever have. Also, it's so easy to make you can actually make it in a crazy hectic weeknight, but it's so good and looks so elegant it's going to become your signature dish for parties, sit down dinners or anytime you need a quick and impressive dish to share with people who comes over. I used penne pasta because it's the type of pasta that holds better the sauce, so with every bite you get a spoonful of sauce too, which in my opinion is the best thing about eating pasta. 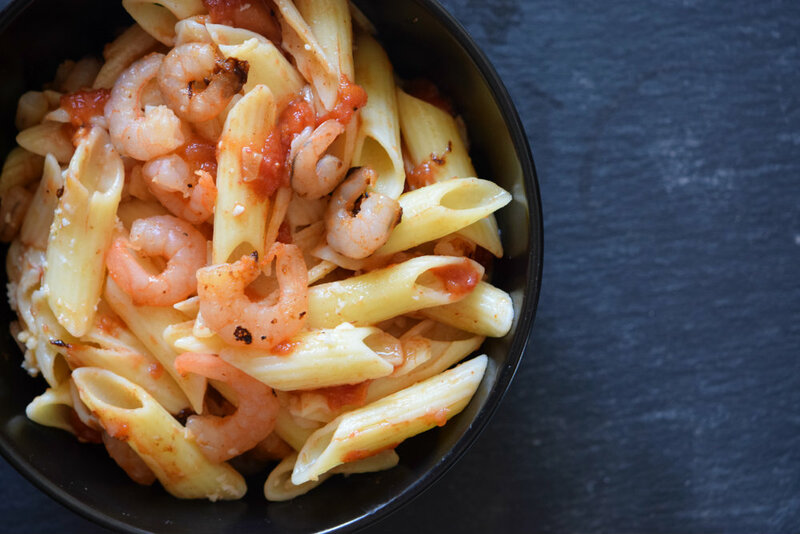 You can make it with fresh shrimp or with frozen shrimp I made mine with a bag of frozen shrimp I found on sale and there's no difference at all, so just use the option you have on hand. I like to cook the shrimp seasoned with garlic, a bit of pepper and just a hint of salt. Then I add to the saucepan a jar of tomato sauce and mix well everything. If I have on hand I like to also add some chopped basil at this point. To make sure the pasta gets as flavorful as it can be I cook it for 2 minutes less than the packaging directions and then add a couple of tablespoons of the pasta water and the drained pasta to the sauce and finish cooking it there. It's amazing the difference it makes! 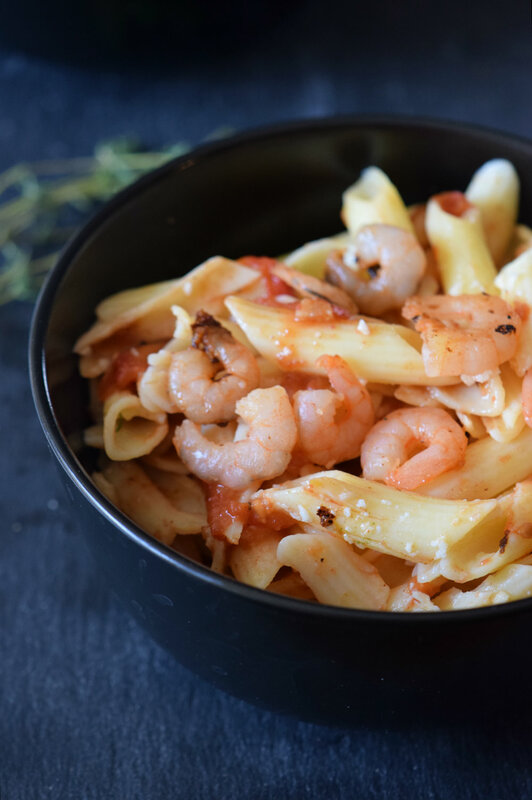 And at least in my opinion is what makes this Garlic Shrimp Tomato Pasta taste exactly like the one you would find at a fancy restaurant (minus the price tag). Cook pasta according to directions. Strain but leave around 4 Tbsp of water. In a sauce pan, lightly saute your garlic with a little olive oil. When the garlic just begins to brown, add the shrimp and saute for about a minute. Add the tomatoes and saute until the shrimp are done. Toss the pasta sauce with the penne and basil. Season with salt and pepper to taste. Return the pan to the heat for another minute, and then eat! What's your best pasta making tip? I am a huge fan of garlic, shrimp and pasta. When you mix them all together, you’ve got a killer recipe. It looks so delicious and I can’t wait to try it. That sounds delicious! What a great summer meal idea this is. My family would be so into this. Yum! I only know a couple of recipes that call for shrimp so this would be perfect. This looks so easy and so good! My children love shrimp and I imagine that the would love this. Oh… this is making me hungry. I love shrimp in my pasta. This would make a great meal to make while camping. Wow yummy! I need to make that tomorrow for lunch. Thanks for the recipe. This recipe looks so delicious and easy to make. My kids are going to love it. I will have to try it this weekend. I am not a shrimp eater but this is PERFECT for my husband. I have been looking for a dish that is different to surprise him with and this would probably be a huge hit! I love shrimps! 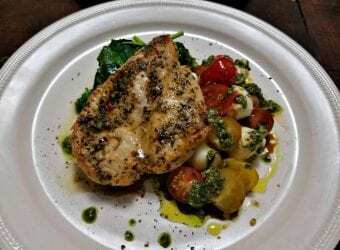 This is a recipe I want to try, it looks delicious! This looks so good, I got the taste for some shrimp and pasta. I’ll have to try this. And I love your pictures. I need some new pasta recipes. It seems like I have my go-to recipes and then I don’t try anything new. It’s time to change up the menu and this looks delicious. This sounds so flavorful and satisfying. 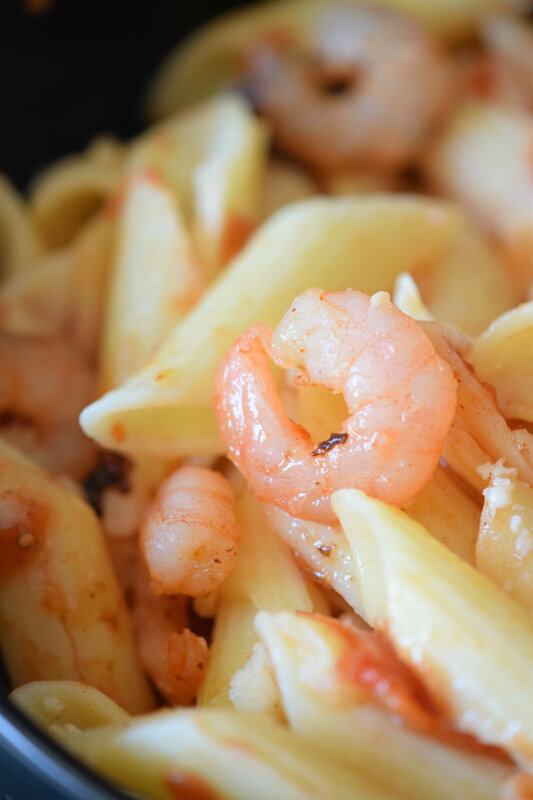 I never think to add shrimp to pasta for some reason Thatt definitely has to change. This looks delicious. We love a good pasta dish in our house so I’ll be pinning this one for later. I’m a big fan of pasta but not seafood. I could make this and use two different kinds of meat – one for me and one for the kids. Looks so good I want to lick my laptop! I love shrimp so thanks for the new recipe! 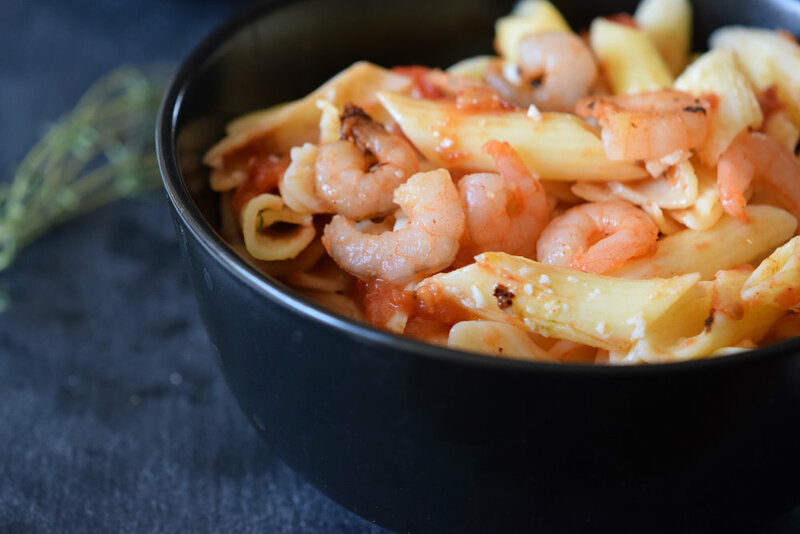 I love seafood and try to eat it as often as possible, I will definitely try this recipe!